As the premier specialist directory in the precious metals marketplace, Bullion.Directory arrange regular exclusive special offers and dealer discount codes for our readers. Bullion.Directory offers are updated frequently. Bookmark this page for fast access. *Offers may be time limited and will cease to work past expiry. 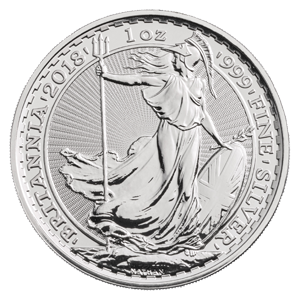 Bullion By Post are offering a Capital Gains Tax exempt Silver Britannia 1oz bullion coin FREE to new customers spending a minimum of £250. 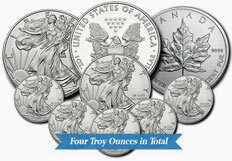 These beautiful coins contain one troy ounce of fine silver. Simply add unique referral code TVMS USIO when you open your account before adding a minimum of £250 in other bullion products to your basket. 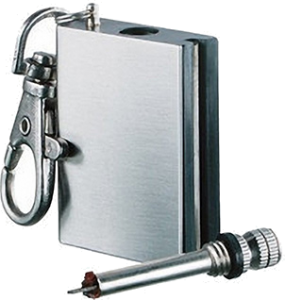 Prepping specialists Survival Life are offering Bullion.Directory users a choice of 9 top-quality prepping tools each worth at least $14.95 – free of charge. Because owning real assets like gold and silver form a bedrock part of any long-term prepper strategy, Survival Life have partnered with us to introduce their website and free prepper courses to our visitors. Shipped within the USA only all items are strictly subject to availability. Bullion.Directory visitors can take advantage of this offer as part of an IRA transfer or rollover, or when opening a new retirement account, subject to a minimum spend of $20,000. For every 1oz of gold purchased at their already low prices, American Bullion will express ship 1oz of fine silver bullion to the account holder’s home – at zero charge. This offer is strictly limited to new customers, opening an account through this link. Further terms and conditions apply. Leading North American bullion supplier and winner of 2016 Bullion Dealer of the Year award, Silver Gold Bull are offering investment grade 999 gold bullion bars from only 1.4% over spot price. This incredible deal applies to 1kg (1000g) bars only and includes free insured delivery. All bars are from well known reputable mints and are available strictly on a first come first served basis. Silver Gold Bull have other limited-stock deals available, click “Deal Zone” on their website. Top bullion dealer and storage facility BullionVault are offering our users 100% free silver – with no payment required. This is a risk-free offer with no payment details required. Users simply open a free account with BullionVault – and 1/8 oz silver (4g) will immediately be added to the account. You are free to browse BullionVault’s best-in-industry pricing and should you wish to make any purchases you can fund your new account as soon as you’re ready. This offer is strictly limited to one per household. USA Gold Dealer of the Year 2015 Money Metals Exchange are offering Bullion.Directory users the opportunity to buy one of their popular starter packages of silver bullion at less than cost price. The silver package includes a number of silver bullion coins and rounds totaling 4oz at close to “melt” value. All silver starter packs benefit from free insured shipping. This offer is strictly limited to one per household, new customers only. International Bullion Dealer of the Year – Regal Assets are offering all Bullion.Directory users a free half hour professional investment portfolio analysis. Portfolio analysis is conducted by Regal’s award-winning portfolio-planning experts. A perfect rain-check to ensure you’re on plan and there is no obligation to take any further advice, product or services. GSFL provide expert training and are one of the world’s leading education providers specializing in the precious metals investment market. 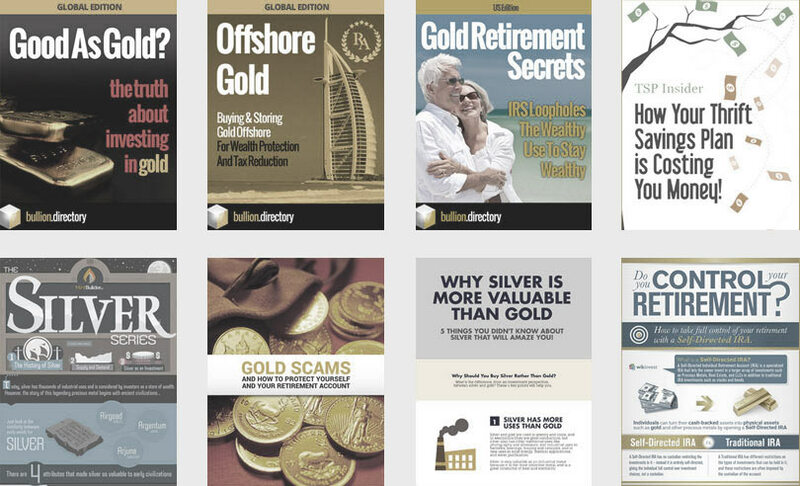 Bullion.Directory users gain access to starter/intermediate level webinar videos and can learn exciting new ways to invest in precious metals for capital gain and income. Bullion By Post are offering VAT-free and Capital Gains Tax exempt 2015 Gold Britannia 1/4 oz bullion coins at 5% off. These coins contain one-quarter troy ounce (7.77 grams) of fine gold and are 99.99% (24 carat) gold. Discount is displayed automatically based on current gold spot price and is deducted from premium. Other offers available on page. Numismatics specialist and national bullion dealer Bullion Shark are offering Bullion.Directory users an immediate cash discount at checkout. Discounts are $5 for orders of $100+, $10 for orders of $500+, and $25 for orders of $1000+. Bullion Shark are also offering free insured domestic shipping on all orders over $1000. This offer is strictly limited to one per order. Enter coupon code at checkout. Bullion Rock are selling a limited number of Umicore’s 1000g (1kg) cast .999 bullion bars at super-low premium. Umicore’s ever-popular 1kg investment-grade silver bullion bars are usually one of the cheapest ways of buying silver – and with Bullion Rock’s offer, the value is unbeatable. Discounted price is displayed automatically based on current silver spot price.